Whether you work at a job or work at a hobby or work at an avocation, if you are like me you want to be productive. You want to get more done, with less effort, and enjoy it as much as possible. Maybe not everyone cares about this as much as I do. For me, one of the joys in life is feeling like I have accomplished something worthwhile and useful. And if I can feel energized before, during, and after so much the better. Work with your own rhythms. We all have our own cycles of work and rest. Whether it is a daily circadian rhythm or a week rhythm or even months long rhythm, observe your own rhythms of when you are at a high work energy and when you are in “rest” mode. Fighting your own rhythm won’t make you more productive. Break tasks up into smaller steps. When you accomplish a task your brain chemicals change. Accomplishing a step is like a small reward AND it stimulates you to want to start the next task. If you are working on one big long task it takes a long time to accomplish something. If you partition the big task into smaller tasks then you have lots of accomplishments. Pay attention to the room and furnishings. Set up a place to work that is only where you work. If you have a comfortable and efficient space to work in, and if the only thing you do when you are in that space is your wonderful productive work, then your body and your brain form a habit. Everytime you walk into the “work” space your brain automatically goes into productive work mode. MInimize multi-tasking. The estimate is that you can lose up to 40% of your productivity switching from one task to another, which is what happens a lot of the time when you are multi-tasking. Minimize alerts. To make multi-tasking less tempting, turn off automatic alerts and notifications on your computer, laptop, and phone. Sleep. The research shows that being sleep deprived makes you less efficient in your work. Try getting 7-8 hours a night. Napping for 20 minutes during the day can also boost your productivity. Work with a team. There is a lot of research, from Allport’s study in the 1920s up to research in the present day , that shows that when people work in a team they are more productive and they enjoy the work more. Sometimes working alone can be a good thing, but don’t forget the power of the team. So there’s seven ideas on productivity that are backed up by science. What do you think? If you want to learn more, check out the online video course: The Science of Productivity. Control freaks and psychological safety — We brought Eric Olive on the podcast as a guest to talk about the science of decisions and we ended up talking about control and safety. How do you create an environment of psychological safety? And how does that encourage creative collaboration? Eric has also offered a list of articles and books for more reading which we’ve added below. Leaders as Decision Architects by John Beshears and Francesca Gino— Harvard Business Review. Structure your organization’s work to encourage wise choices. “Organizing and the Process of Sensemaking”, Organization Science, vol. 16, no. 4, pp. 409-421. “Surprising but True: Half the Decisions in Organizations Fail,” Academy of Management Executive 13: 75–90. Paul C. Nutt, 1999. Before You Make That Big Decision by Daniel Kahneman, Dan Lovallo, and Olivier Sibony. Harvard Business Review. The Hidden Traps in Decision Making by John S. Hammond, Ralph L. Keeney, and Howard Raiffa. Harvard Business Review, January 2006. 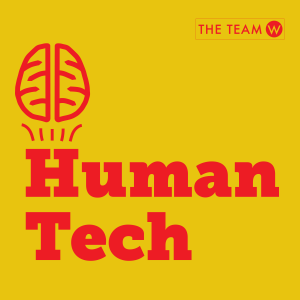 Human Tech is a podcast at the intersection of humans, brain science, and technology. Your hosts Guthrie and Dr. Susan Weinschenk explore how behavioral and brain science affects our technologies and how technologies affect our brains. How do you build a culture of trust? How’s the trust quotient where you work? Or in the country where you live? How do you build a culture where people trust each other? 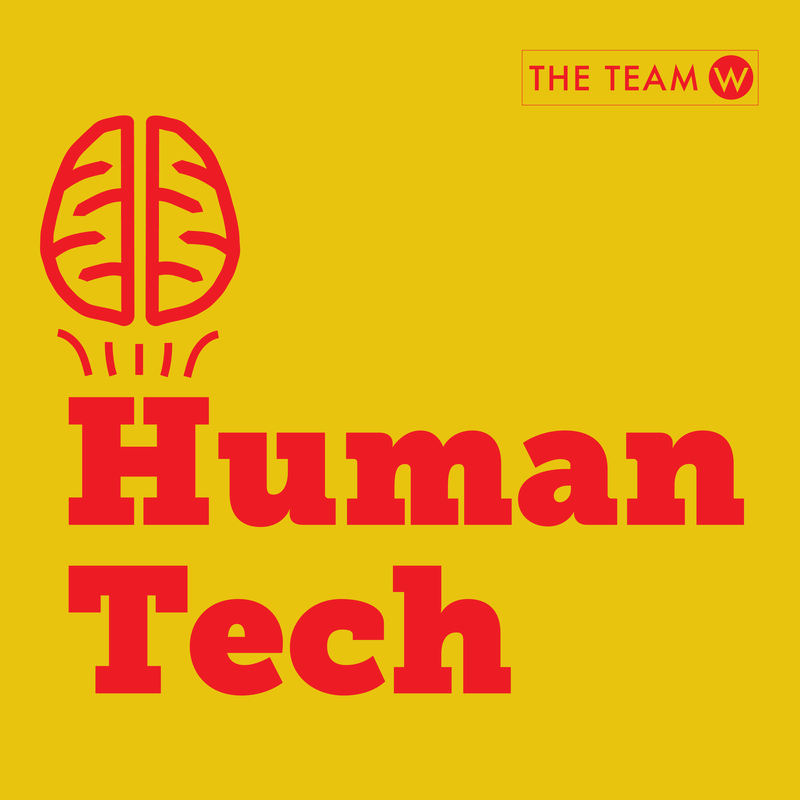 We talk about the research on cooperation, punishment and trust in this episode of Human Tech. For more details on the topic after you listen to the podcast, you may want to check out the blog post and video post on the same topic. 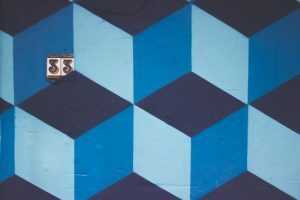 We talk a lot about “cognitive biases” — the tendencies we have to think and act in ways that are not always logical, and not always accurate, but we forget that many of these brain shortcuts are very adaptive and very successful. In this podcast episode we dive into the positive side — Heuristics. What they are, why we use them, and how they are so successful that we may even want to program them into machines. How well do you know your EEG from your GSR? Our guest, Spencer Gerrol from Spark Neuro gets in the weeds with us in this episode and explains all things neuro-measurement. How well does EEG measure interest and engagement? Can you tell what people are feeling? Which emotion? What does GSR (galvanic skin response) add? Anything? And facial recognition? Are these measurements better than using fMRI? Spencer has a unique ability to really go deep and yet make the information easy to understand. If you want to learn about the latest in neuro-measurements listen to this episode. You can find out more about Spark Neuro and contact Spencer directly from the Spark Neuro website. In the last blog post Guthrie Weinschenk explained his idea about saving time and money by rating your projects before you start them. In this podcast Susan and Guthrie discuss how this works and why it works. What is behavioral science? How is it different from behavioral economics? And why are both so cool? Plus, Guthrie geeks out about Daniel Kahneman’s research. We’ve launched our new course curriculum in Brain and Behavioral Science! You can take one course, or you can take all of them, pass the Certificate exam, and earn the Brain and Behavioral Science Certificate. Use Promo Code: BBSNew and receive 30% off any of the Brain and Behavioral Science courses from now through Feb. 21, 2017. How many New Year’s resolutions have you made in your life? How many have you successfully accomplished? The estimate is that less than 10% of New Year’s resolutions are actually achieved (University of Scranton Psychology Professor John C. Norcross, Ph.D.). There’s a lot of homespun folksy advice out there this time of year about how to make sure you reach your New Year’s goals, but I thought I’d share the actual science of how to change behavior. There’s two main lines of brain and behavior science that influence New Year’s resolutions: The science of habits and the science of self-stories. Let’s start with the science of habits. Contrary to popular opinion, it’s not hard to change habits IF you do so based on science. To change a new habit you essentially have to create a new one, so whether you are changing an existing habit or creating a new one, the “scientific” method for doing so is the same. You have already created literally HUNDREDS of habits that you have now, and you don’t even remember how they got started, so creating habits can’t be that hard or you wouldn’t have so many of them! You MUST pick a small action. “Get more exercise” is not small. “Eat healthier” is not small. This is a big reason why New Year’s resolutions don’t work. If it’s a habit and you want a new one it MUST be something really small. For example, instead of “Get more exercise” choose “Walk 1/3 more than I usually do” or “Take the stairs each morning to get to my office, not the elevator”, or “Have a smoothie every morning with kale in it”. These are relatively small actions. You MUST make the new action EASY to do for at least the first week. Because you are trying to establish a conditioned response, you need to practice the new habit from the existing stimulus from 3 to 7 times before it will “stick” on its own. To help you through this 3 to 7 times phase make it as EASY as possible. Write a note and stick it in your walking shoe that says “Total time today for walk is 30 minutes”. Write a note and put it where you put your keys that says: “Today use the stairs.” Put the kale in the blender and have all your smoothie ingredients ready to go in one spot in the refrigerator. If you take these three steps and you practice them 3 to 7 days in a row your new habit will be established. Now let’s tackle the science of self-stories. The best (and some would say the only) way to get a large and long-term behavior change, is by changing your self-story. Everyone has stories about themselves that drive their behavior. You have an idea of who you are and what’s important to you. Essentially you have a “story” operating about yourself at all times. These self-stories have a powerful influence on decisions and actions. Whether you realize it or not, you make decisions based on staying true to your self-stories. Most of this decision-making based on self-stories happens unconsciously. You strive to be consistent. You want to make decisions that match your idea of who you are. When you make a decision or act in a way that fits your self-story, the decision or action will feel right. When you make a decision or act in a way that doesn’t fit your self-story you feel uncomfortable. If you want to change your behavior and make the change stick, then you need to first change the underlying self-story that is operating. Do you want to be more optimistic? Then you’d better have an operating self-story that says you are an optimistic person. Want to join your local community band? Then you’ll need a self-story where you are outgoing and musical. Write out your existing story. Pay special attention to anything about the story that goes AGAINST the new resolution you want to adopt. 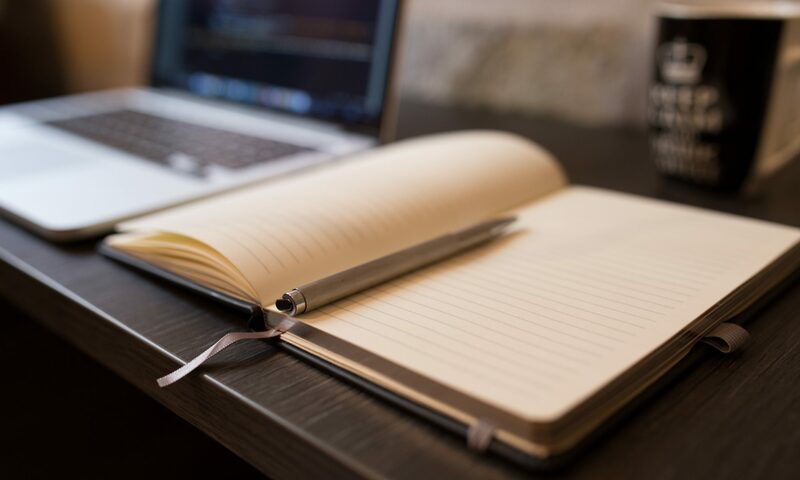 So if your goal is to learn how to unplug and be less stressed, then write out a story that is realistic, that shows that it’s hard for you to de-stress, that you tend to get overly involved in dramas at home or at work. 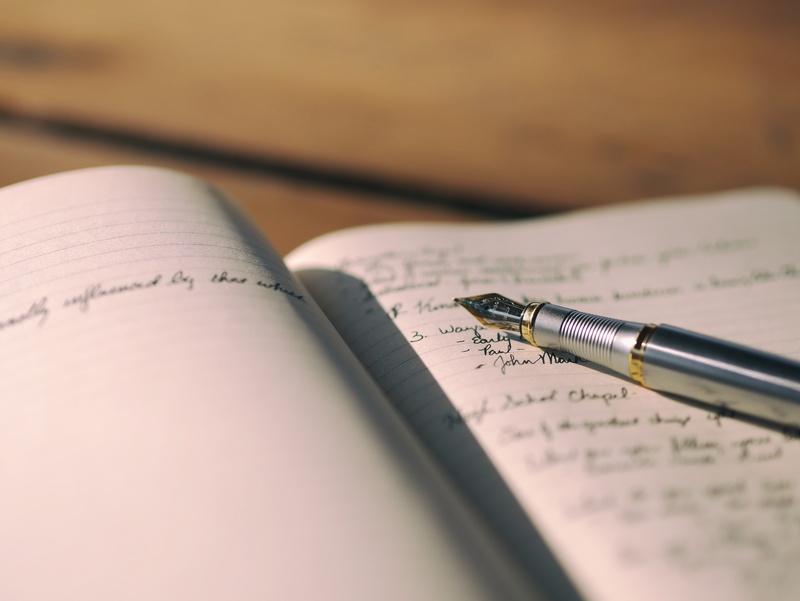 Now re-write the story — create a new self-story. Tell the story of the new way of being. Tell the story of the person who appreciates life, and takes time to take care of him/her-self. The technique of story-editing is so simple that it doesn’t seem possible that it can result in such deep and profound change. But the research shows that one re-written self-story can make all the difference. I’ve tried both of these techniques — creating new habits using the 3-step method, and creating a new self-story. The research shows they work, and my own experience shows they work. Give it a try. What have you got to lose? This year use science to create and stick to your New Year’s resolutions. What do you think? What has worked for you in keeping your resolutions? Now anyone anywhere can create and stream live video. Have you spent any time at the Facebook Live Video Map? It’s fascinating and addictive. We explore why that is in this podcast episode.